Since its adoption in 1996, Landscapes has earned accolades from national, state and local organizations for its originality, approach and effectiveness in bringing growth and preservation together. Recognition for assisting with the Route 724 Initiative and completing the Route 724 Opportunity Sites Map. Recognition of the County's diversity in transportation choices, including the Chester Valley and Schuylkill River Trails, the Ride Guide and the Transportation Improvement inventory system. 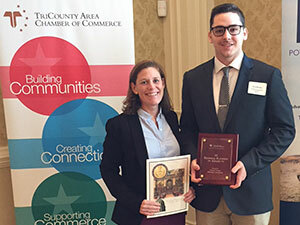 Recognition of the County's diversity in transportation choices, including the Chester Valley Trail and the shuttle service between West Chester and the Exton train station. Chester County is the first county to receive this distinction. Recognition of the effective outreach achieved through the County's Pipeline Information Center that promotes pipeline safety through the sharing of information on proposed projects. Recognition of the County's commitment to Smart Growth practices by providing funding of municipal planning programs through the County Vision Partnership Program. Recognition of the exceptional leadership provided by the County to the Brandywine Battlefield Task Force in its efforts to plan regionally for a complex cultural landscape and provide municipal and public outreach about the importance of the battlefield and preservation opportunities. Recognition of the County's Public Transportation Plan, an element of Landscapes2. 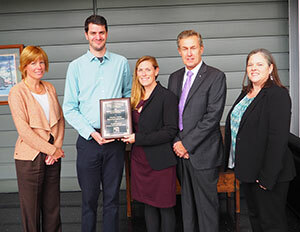 Recognition of the County's sustainable transportation planning program. Recognition of the guide's usefulness in facilitating trail and path planning at the municipal level. Recognition of the County's public outreach process used in developing Landscapes2, Chester County's Comprehensive Plan. Recognition of the County's publication Guide for Municipalities to Protect Open Space. Recognition of the County's assistance to municipalities with the publication of the Cluster Design Guide - A Practical Guide for Effective Cluster Subdivision Design. Recognition at the national level for the effectiveness of strategies identified to save the battlefield. Recognition of Chester County's commitment to land stewardship and preservation initiatives through Taking Control of Your Land: A Land Stewardship Guidebook for Landowners. 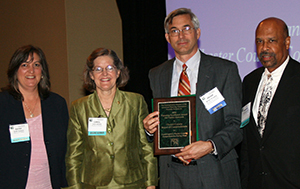 Recognition at the state level of Chester County's innovative planning and sound land use practices. Recognition at the national professional planning level for Landscapes, the Vision Partnership Program, and the Community Planning Handbook as a national example of excellence in planning. Recognition at the national level for Chester County's historic preservation program for its effectiveness in protecting and sustaining resources in the county. Recognition at the national level for Chester County's Landscapes plan for its innovative program which contributes to and enhances county government. 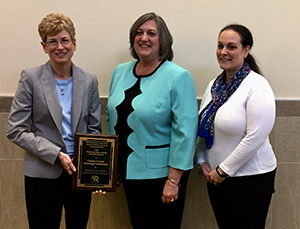 Recognition at the state level for Landscapes, the municipal grant program Vision Partnership Program, and the Community Planning Handbook as an example of excellence in planning.